The Barossa Valley is hardly a tourism secret. Over a million visitors zipped through in 2003-04, but over 80 percent of them were day-trippers – very short shrift for this lip-smacking corner of Australia. You could happily pass several days marinating in the impressive, visitor-friendly wineries, sharing the enthusiasm of the winemakers and learning the fascinating business and personal stories of the so-called “barons of the Barossa.” You can survey the glorious sweep of vineyards from a bike, car or hot-air balloon and take in the historical sights and German-flavoured fare of postcard towns Tanunda and Angaston. You might even fit in a day-trip to Adelaide. Wine is synonymous with the Barossa and the industrial scale of its winemaking is spectacular. Massive stone wineries stand as testaments to the vision and industriousness of 19th Century pioneers. The European aesthetic marries happily with the Mediterranean air. You could just as well be in the Rhone rather than the Barossa Valley. 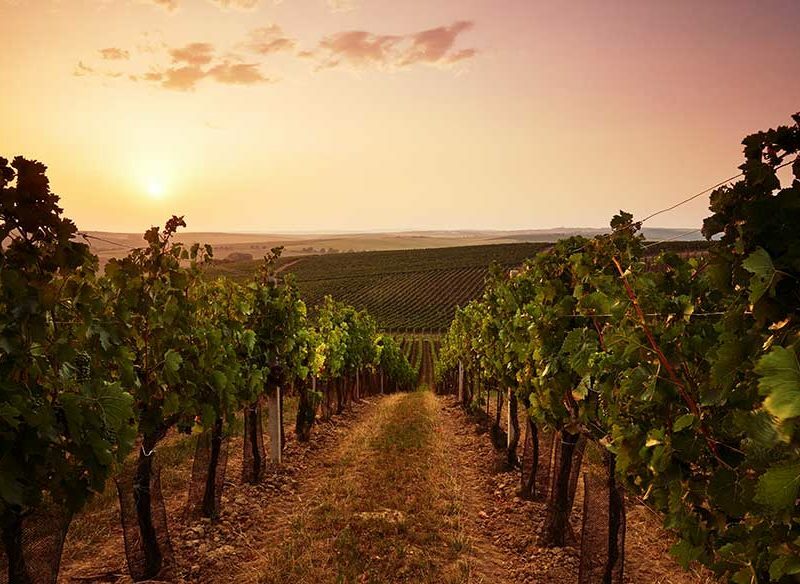 The Barossa is not Australia’s oldest wine region – the first vines came out with the First Fleet and unsuccessful plantings around Sydney Harbour saw viticulture take root in the Hunter Valley in the 1820s – but the Barossa is where the Australian wine industry began. As early as the 1880s, Barossa wineries like Saltram at Angaston were exporting around 75 percent of their plonk, though at that stage it was mostly the sticky fortified stuff. By the 1890s the Barossa was Australia’s No.1 wine region, after phylloxia lice decimated vines in Europe and eastern Australia. Federation and the removal of tariffs between the states saw the Barossa cement its leading position. Today, Barossa labels produce about a third of Australia’s wine. The 50-plus Barossa wineries include some of the biggest names on Australian wine bottles – Penfold’s, Seppelt, Jacobs Creek, Wolf Blass – but also plenty of smaller boutique operations and family-run cellar doors. Standing at Mengler’s Lookout today, overlooking the gentle hills and meticulously tended vines, it’s easy to appreciate why the Barossa Valley was the promised land for the 25 Prussian families who settled here in 1842. The original villages of Bethanien (Bethany) and Langmeil are now part of Tanunda. The first commercial vines were planted in 1846 by Johann Gramp at Jacob’s Creek. The German character is unmistakable in the slender Lutheran church spires, sturdy stone farmhouses, and businesses bearing German names, not least the leading wineries – Seppelt, Henschke, Wolf Blass, Basedow, Peter Lehmann, Gnadenfrei Estate – some of them run by the sixth generation of pioneer families. While the Germans settled on the valley floor, the more gentrified English chose the hills of the Barossa Range to the east, centred on Angaston. Venerable wineries Yalumba and Saltram were established by English families in the mid-19th Century. Another impressive Anglo legacy is Collingrove Homestead, built by the family of pioneer George Fife Angus in 1854 and now a house museum owned by the National Trust. (A modern-day dynasty – the Hayes racing family – is headquartered at nearby Lindsay Park). 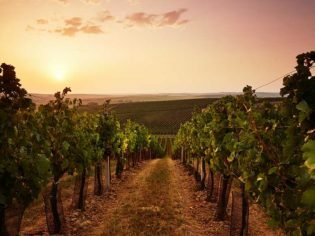 Who owns Barossa’s wineries today? Big business owns most of the established old names: Penfold’s, Seppelt, Leo Buring and Kaiser Stuhl are under the Southcorp umbrella; French giant Pernod Ricard owns Jacobs Creek and Orlando; Wolf Blass and Saltram are owned by Beringer Blass, the wine division of Foster’s. But thankfully the labels maintain their distinct identities and varieties. And there are plenty of proud local wineries whose product is 100 percent Barossa. Shiraz, by far the biggest Australian wine, is still the signature drop of the Barossa, followed by warmer-climate reds like Cabernet Sauvignon and Grenache from ancient vines. Dominant whites are Riesling, Semillon and Chardonnay, although the cooler-climate whites are concentrated in the nearby Eden Valley and Adelaide Hills. You can sample pretty much everything in the Barossa; the patchwork of soils and microclimates support an astonishing variety of fruit. But you don’t need to be a wine snob to appreciate this picturesque region. The architecture of the wineries – from imposing, turreted bluestone to modern glass and wood – and the landscaped gardens are as big an attraction as the wines. The bigger wineries have fascinating displays of old wine paraphernalia, and staff behind the tasting counters are universally knowledgeable and personable. Distinct seasons make the Barossa a year-round destination, although mid-summer and red plonk can be a heady brew. Spring can be fickle but fabulous, with the prize-winning Barossa roses out in their finery. Winter is ideal red-wine weather. The peak season is of course autumn, with its golden glow, stable weather, frenzied harvest and the biennial Barossa Vintage Festival in odd-numbered years. Book well ahead if you’re coming at this time. Accommodation ranges from simple cottage B&Bs to opulent former homesteads that allow you to live like the landed gentry. Tanunda and Angaston are the top places to stay, but Lyndoch at the southern end of the Valley, and Nuriootpa, the commercial centre, are also right in the thick of it. Food is as good as you would expect in a wine region (Maggie Beer’s Farm is a popular stop) and entertainment is also plentiful. Aside from the major festivals – Barossa Under the Stars concert in February, Gourmet Barossa weekend on August 20-21 this year, the Barossa Music Festival in October, and the biennial Vintage Festival (next on during Easter 2007) – the wineries host year-round performances by everyone from Paul Kelly to Placido Domingo. This is a very special corner of Australia.